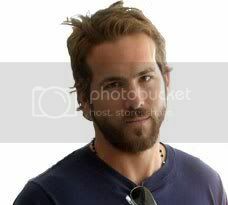 Who the hell is Ryan Reynolds? That is a great comparison! Reynolds has that devilish quality about him that is a perfect match with Travis! I remember Reynolds from a show fifteen years ago, called "The Odyssey", about a kid in a coma who "woke up" in a strange world only occupied by kids, and ruled by a kid in a military uniform (Reynolds), called "El Supremo"! It was actually very clever and reminded me a lot of the sci-fi I read as a kid. Funny thing is he looks almost the same as he did as a kid! ...and if you see Waiting, then I you will see where I draw the comparison to T-Dub. Imagine T-Dub in that role. My brother recommended that movie to me, and it's coming up on my Netflix list! It sounds pretty funny, if a bit on the stomach turning side! Yes it is, but it's very... well, Travis. OH I've been a fan and saw shades of me myself ever since he hit it with the TV series, "Two Guys, A Girl, and a Pizza Place"
Imagine T-Dub role-playing naughty schoolgirl with me.